The 30th – and 3rd ever female – Member of the Soccer Fitness 20 MPH Club, Nicole successfully performed 2 separate, 4-second running bouts at a speed equal to exactly 20 miles per hour, on Tuesday, July 26, 2011. 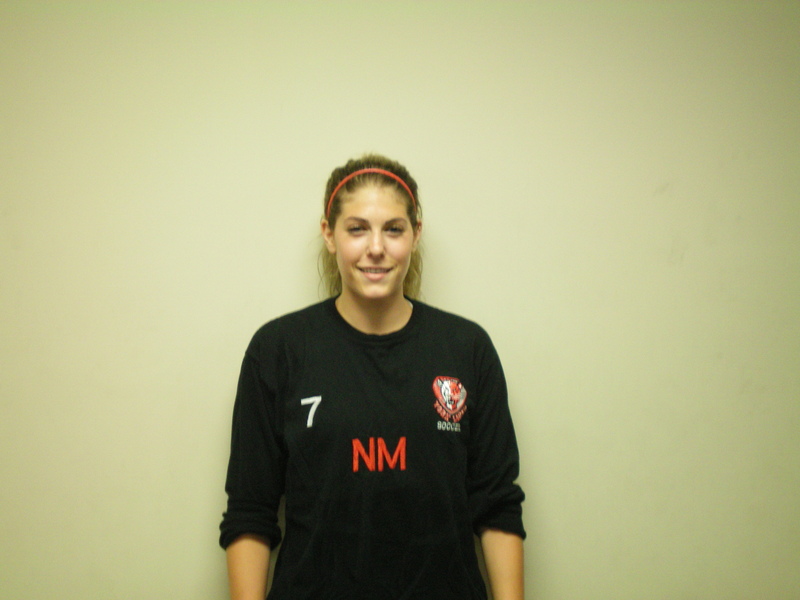 A captain of the York University Women;s Varsity soccer team, Nicole has only just started training with Soccer Fitness, and ran 20 miles per hour in her very first treadmill training session. A former OUA Rookie of the Year, and former sprinter on the York U Track and Field Team, Nicole will be entering her fifth and final season this fall, and we expect her to be in peak physical condition in September.